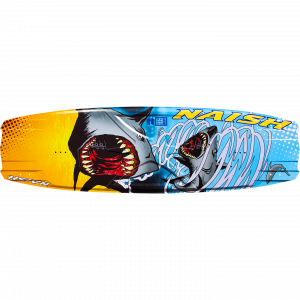 You are looking for a twin tip that provides highest performance for advanced freeride, freestyle and new school tricks? 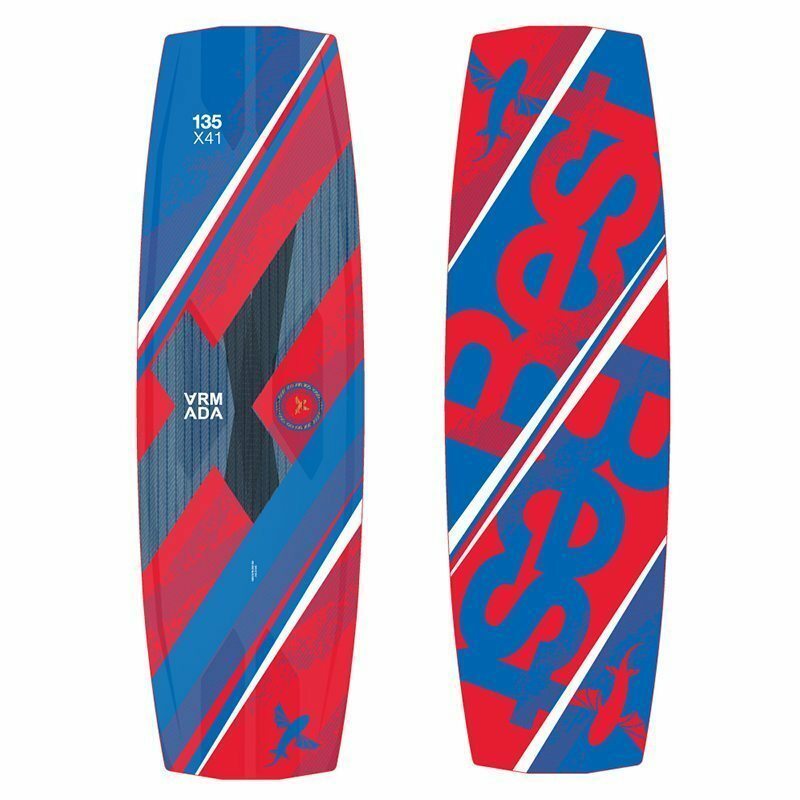 The Armada is made for those who prefer a board with the performance of a professional competition board but with the comfort of a freeride board. It is light, durable and aggressive while providing the flex your knees will love. The new version has a stronger but thinner 3D top deck and comes with our new designed Prime pads and straps. This new setup is complete 400 g lighter than last years version. 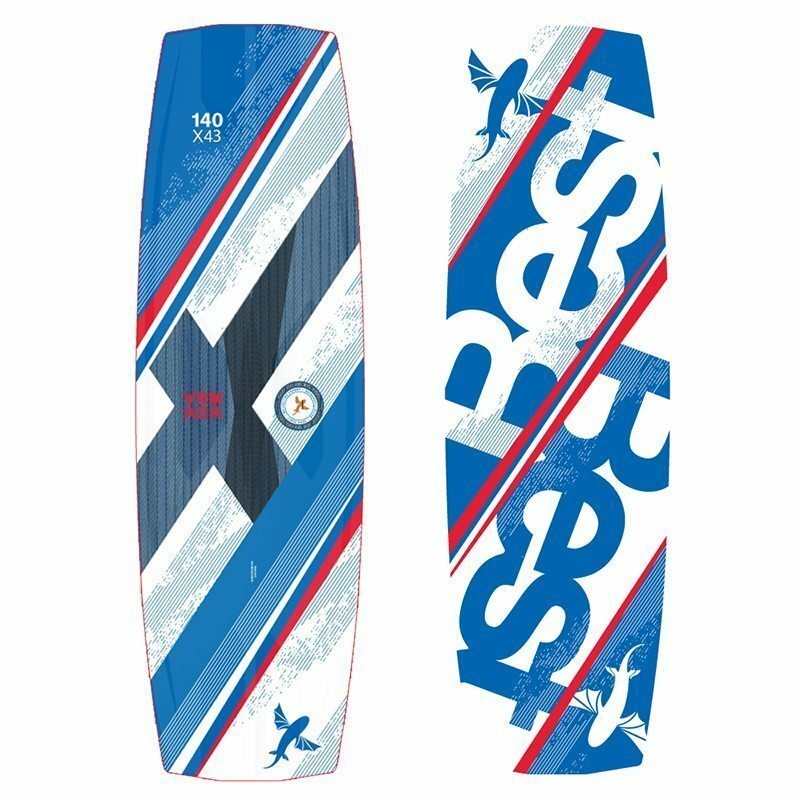 45 mm G10 fiberglass fins are included. The Armada is an incredibly versatile board that easily adapts to the conditions at the spot as well as to the rider’s style and abilities. 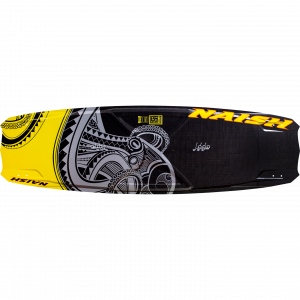 It delivers highest performance on demand, no matter if you go for a mellow freeride session or an action packed freestyle shred. The Armada will help you break your limits and soar to new heights. 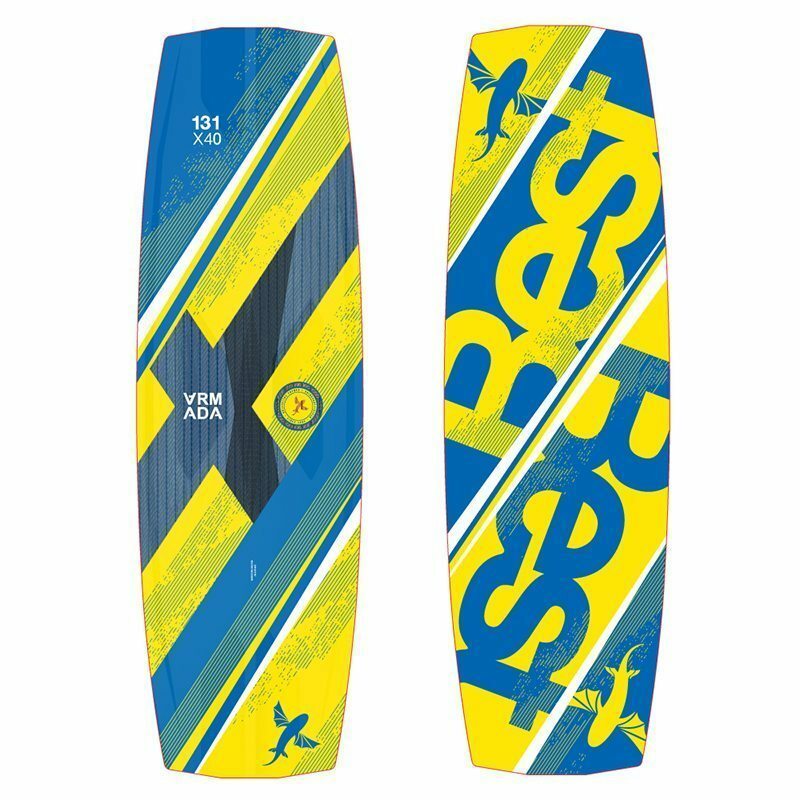 Best shaper Franz Schitzhofer fine-tuned the Armada to perfection. Seven years have passed since the first version was launched and in this time the materials grew better, the knowledge and experience advanced and high tech manufacturing became available. Today’s version of the Armada is made by skilled hands in Europe using high tech machinery. 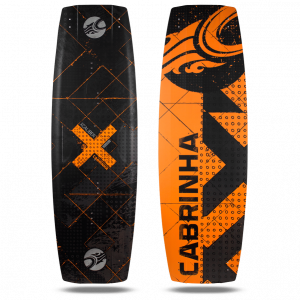 The Supremo Paulownia wood core is cut with a laser guided CNC machine to provide a precise base that is merged with a rare unidirectional Carbon Tech Fiber which tremendously enhances the board control while keeping the weight low. All that combined with our bomb proof block inserts allow the rider to use the Armada with boots. The Armada passed intense long term tests so it comes with our lifetime warranty. To ride with speed in choppy and gusty conditions and also to master sketchy landings, you need a board with grip. The Armada’s sharp step rail and channel design offers incredible control by steering the water flow. Combined with the 45 mm G10 fins it provides a remarkable grip. Going upwind and holding the edge to power up your take-offs suddenly comes natural and you will always stay in control. 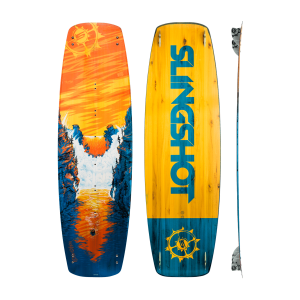 The innovative reversed 3D torsion shock absorber constructed into the top layer of your board make the Armada a smooth ride. Especially when landing tricks or riding chop the shock absorbers protect your knees and add comfort. We optimized our Torsion-X reinforcement to increase the board’s stability and reworked our 3-stage rocker line. Our new Prime straps are super light, avoid soaking up water, are anti-slippery while the damping foam clings to your feet. The Armada provides everything you need to perform!